It’s not unheard of, that like many other substances like nicotine, alcohol, and coffee that creates addiction, video games can also cause addiction. And while these substances create physical addiction, video game addiction is a bit different. It creates the same cravings but on a mental level. Many studies have been conducted to research this phenomenon, and that’s what we’re talking about today. With the popularity of online video games rising by the day, it’s not surprising that the addiction rate is going up constantly. But this is not something that’s new, as video game addiction has been around ever since the arcade game days. The most controversial debate was about Blizzard Entertainment‘s World of Warcraft back in the day. In the years following the game’s release in 2004 and its huge rise in player base, players quickly became addicted to it. Due to the game’s grindy and time-consuming nature, it’s not surprising that people would spent hours and even days seated in front of their PCs. Maybe grinding for that one item they’re missing or preparing for a night-long raid. People were quitting jobs, marriages and relationships were ruined, and so on. And so naturally, people blamed World of Warcraft. But the fact remains, just because the game is time-consuming and rewarding, that doesn’t mean it’s addictive. There were loads of cases where worried mothers tried to sue Blizzard Entertainment and what not. Videos on YouTube of people deleting their spouses’ WoW characters and filming the reaction, which was usually very painful to watch. In conclusion, anything can cause addiction if you have an addictive personality. 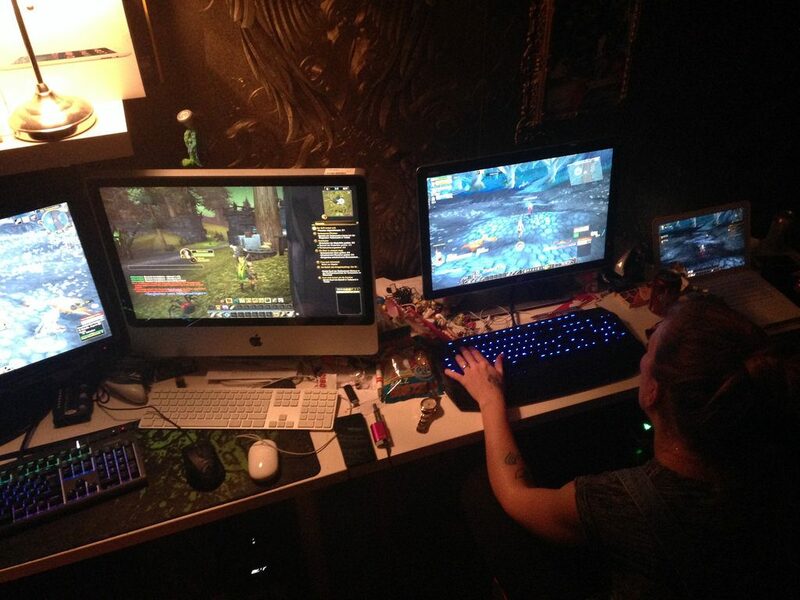 World of Warcraft was just one example of video game addiction because it was the most talked about. But the fact remains that, if you have an addictive personality, you will get easily addicted to anything, video games included.